Just a few minutes to know more about Croatia? Here you are! Tourism in Croatia was at its peak during the 80’s. At that time the country was part of Yugoslavia. People used to say that they were going to spend their vacation in Yugoslavia, but actually it was often in Croatia that they spent their vacation. In 1991 when Croatia decided to get its independence, began a war that lasted until 1995. A few years later the country was rebuilt and ready to welcome back visitors and make them discover the beauty of its landscapes and unspoiled nature. Croatia became a modern country that in 2013 will become a member of the European Union. The voltage in Croatia is 220V and the frequency is 50HZ. Plugs are two round prongs. 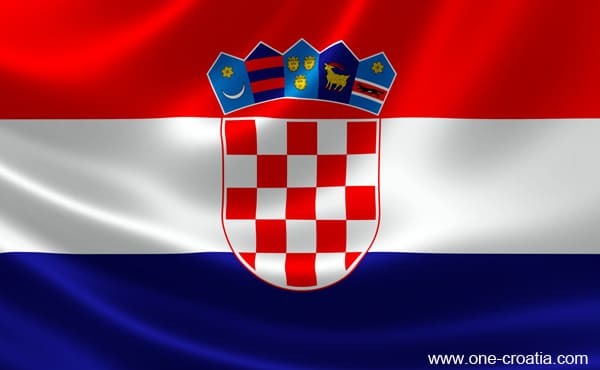 In 1848, the red-white-blue tricolor flag was made official, it is a blend of the red and white flag of Croatia, and the blue and white flag of Slavonia. Prohibited during a long time while Croatia was attached to other nations, especially under the communism of Tito, it is only in 1991 that it reappears when Croatia became independent. Do not be surprised to often see it today, especially during weddings, public holidays or any special event. Banned for a long time, today it is the symbol of freedom and independance, and freedom and freedom of expression. 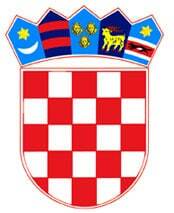 The Croatian coat of arms is situated in the center of the flag. It is made of two parts: a 25 red and silver (white) fields called the chessboard. On the coast you will find a Mediterranean climate with mild winters and temperatures around 10 C, and hot summers with temperatures above 30 C.
Warm and sunny days begin at Easter and fulfill the cafes’ terrasses. In Dalmatia we usually enjoy sunny and warm weather until the end of October. The sea temperature is around 25-26 C in summer, you can swim from June to October. July and August are the best months to visit Croatia because of the hot temperature of the air and of the sea, but do not expect to be alone on the beach at this period… If you want to avoid the crowd better come in June or September, with a preference for the month of September for the pleasant temperature of the sea. In the inside part of the country there is a continental climate with cold winters with snow and hot summers with a dose of humidity. If you go to Zagreb in the summer you’ll be surprised how quiet it is because of its residents leaving the town for the seaside. Several winds blow on the coast. Jugo (literally south wind) is a hot wind coming from the South, it often comes with rain and causes waves. Do not be surprised if you feel nervous and moody when Jugo is blowing, this is typical for this wind. Bura is a cold and dry wind coming from the north-east, it blows mainly in winter. When Bura is blowing the sky is so clear and the visibility so perfect that you can clearly see the islands. Check out the weather forecast for your next vacation in Croatia.